Running a home business can be overwhelming; plus, you have to worry about aspects of your life that aren’t business-related such as your family. It’s pretty easy to have too much going on at once and completely overlook some essential knowledge for running a home business. This article should be able to get you to remember some of those tips you may have forgotten about. If you are serious about your home business, then chances are that you plan on running this business for a long time. Therefore, you should make sure that you set up some retirement accounts. You do not want to just skate by with the money you make in your business and then get broke when you get older. No matter how you feel now, you will probably want to retire and relax when you get older. Keep this in mind. One of the problems with home businesses is that they can be notoriously inconsistent and rely heavily on how well the economy as a whole is doing. You should know that when your business is in a boom period it probably will not last forever. Set some money aside during this profitable period so that if your business eventually runs into a rut you will still have enough money to survive. This is especially important if you have a family that depends on you. One perk that everyone hears about starting a home business is that you can go to work in your pajamas. While this is technically true, it is advised that you do not do this. Dress up like you are going to a normal job. If you look professional, you will feel like getting some work done. If you just lounge around in your pajamas you are more likely to feel lazier and get less work done. Self-employment tax can really hurt you, especially if you are not prepared for how much you will have to pay every year. To counteract this, pay your taxes in separate installments. This makes the payments much easier to stomach and you will also not get blindsided by a huge lump sum in April of each year. You never know when a disaster can strike. Be sure to purchase home business insurance so that in the event of a catastrophe you will be covered and it will not hurt you as much as it otherwise would. This is a step many home business owners forget. 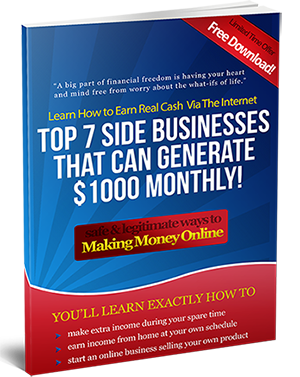 Running your home business all the time every single day can be exhausting. Make sure to build in some personal time for yourself so that you can enjoy your life. Otherwise it is really easy to feel burnt out with your home business and you will dread every morning. The advice from this article should be enough to ease your mind a little bit and get your home business in order. You are more likely to be successful if you are a relaxed home business owner, so make sure you do it right!